After a tap on the Log button in the main menu this panel is shown. See Section 4.2, “Menu”. The Log shows Info, Warning or Error messages for application events. 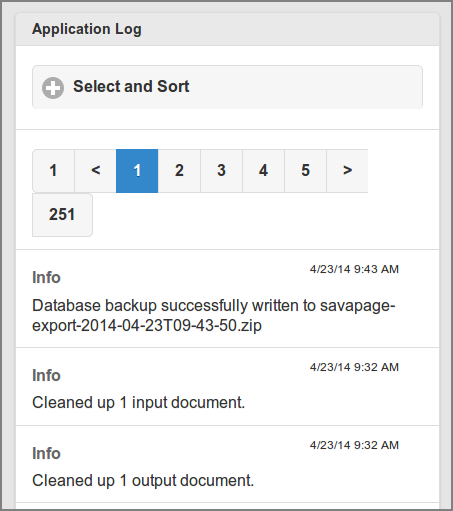 The size of the Log can be limited by purging old log data after an automatic database backup. See Figure 4.101, “Admin Web App: Options - Automatic Backups”. All events are listed by default, ordered by descending date. 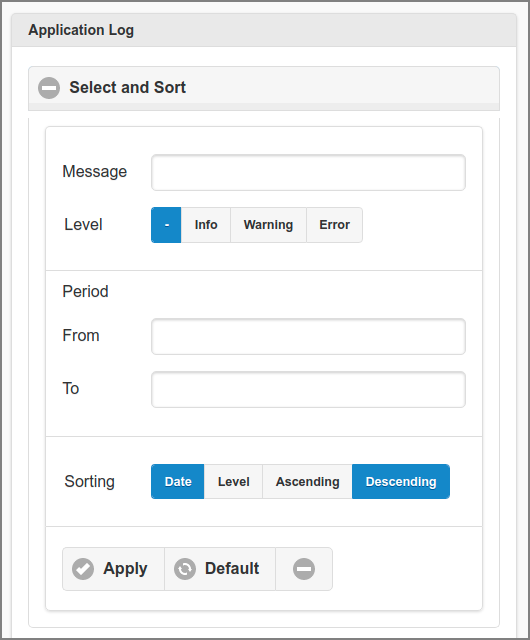 A different selection and sorting can be entered: see Figure 4.124, “Admin Web App: Log - Select and Sort”. Events can be selected by entering the Containing text (fragment) of the message. Select the event Level. The - button will select all levels. Select the time Period by pushing the From and To button. 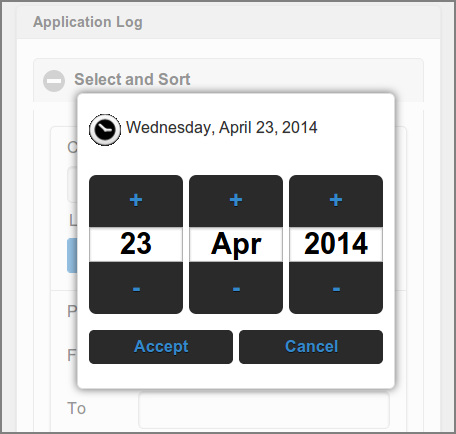 See date picker dialog is shown at Figure 4.125, “Admin Web App: Log - Select Date”. Tap the x button after the date to clear it. The list can be sorted Ascending or Descending on Date or Level. User the + and - buttons to select the Month, Day and Year. Push the Accept button to apply the date. Push the Cancel button to ignore the date and return to the original setting.